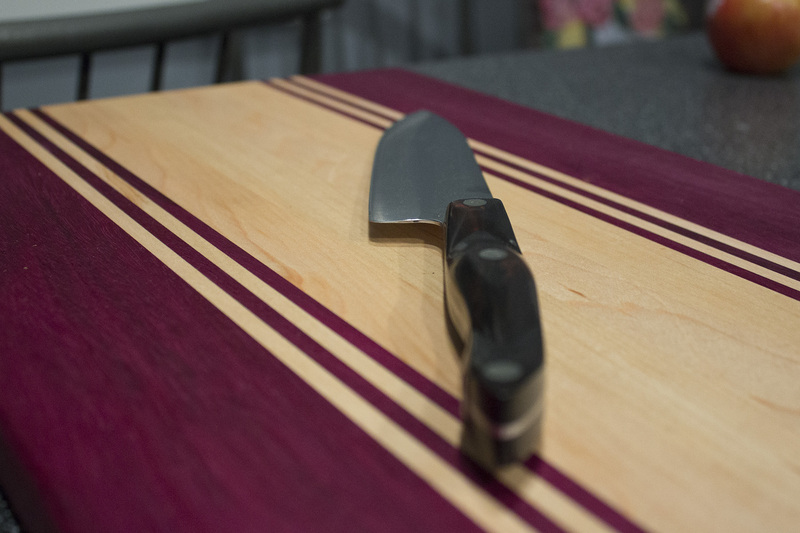 Looking for a custom cutting board to class up your kitchen cooking and wow all of your guests? Then look no further. 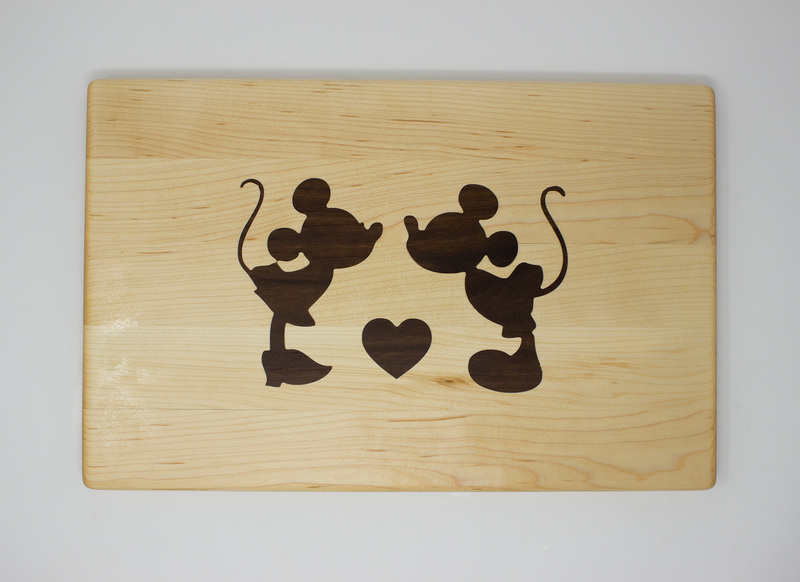 This board is made from elegant maple hardwood with a one of a kind walnut Mickey and Minnie Mouse inlay. 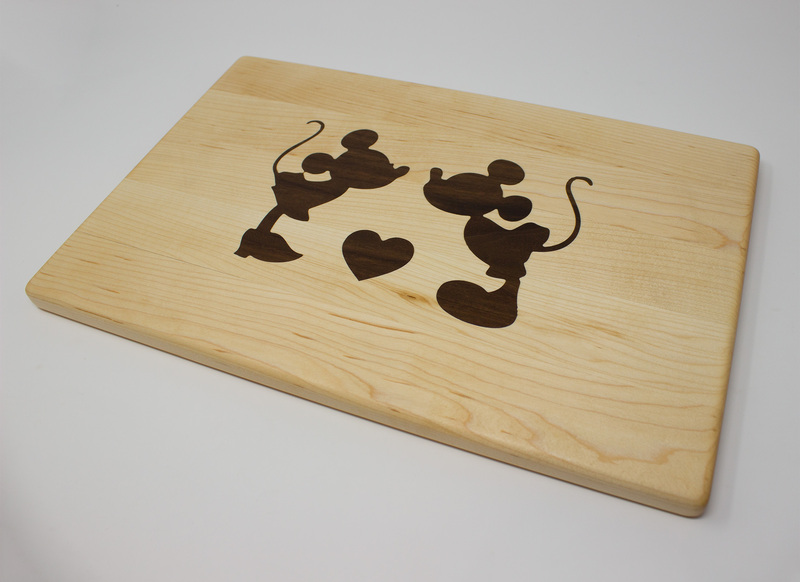 Perfect for the Disney lover in your family! The inlay is made from walnut and is specially inset then sanded completely flat with the rest of the board. 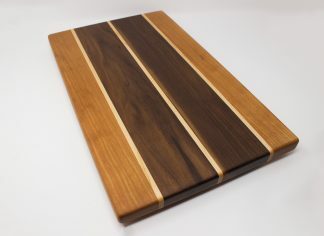 It is then finished with several coats of mineral oil and rewaxed with a beeswax/mineral oil mixture at time of shipment. 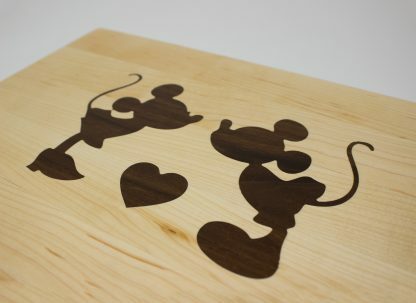 You can use the reverse side for all your cutting leaving the special Disney mosaic untouched. 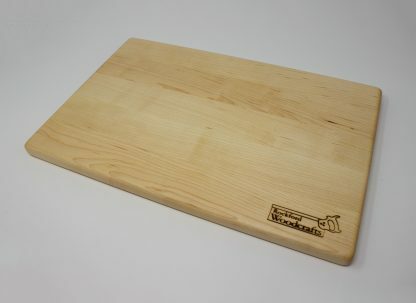 This cutting board measures 16″ x 10.5″ x 1″ and weighs about two pounds.